• 3 bath , 2 bdrm bungalow – FOR SALE CAD269,900 . Adult Living At It's Best! A fantistic Villa with a double garage in Phase 1 of Polo Park, a charming 50+ community is the unit you’ve been waiting for. Conveniently located close to the golf course and town, this little gem is clean and tidy. The vaulted ceilings and open concept make this bungalow feel spacious. U shape kitchen has plenty of counter space with a raised breakfast bar. The living room features a corner gas fireplace, lots of windows and patio sliders leading out to a great deck, backing onto green space to enjoy nature. The king size master bedroom has a huge walk-in closet and a 4 piece ensuite. Front entry has a large foyer, adjoining a bright den for your office or craft needs. A 2 piece guest powder room, laundry room that leads out to the double garage, finish off the main level. The basement is fully developed with a large family room, 3 piece bathroom, guest bedroom and lots of space for storage. 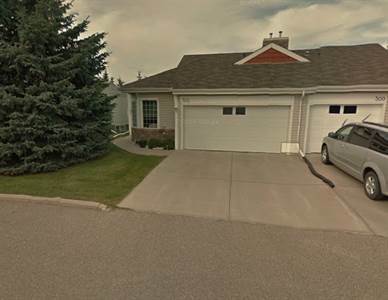 Next → Next post: 1029 18 Ave SE in Ramsay, Calgary is Sold!